Added the below image (just the detail) and its caption to the 19th century timeline (first half). 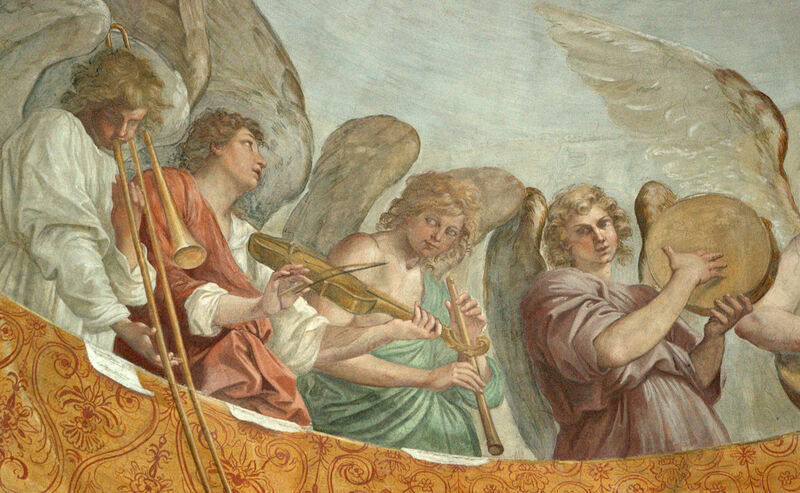 I will also be adding it to the HubPages article, Backward Advances: Rear-Facing Trombones Throughout History, which already has some 36 visual examples. Finally, it wall also be added to one other odd little collection, Hi Ho, Brass! 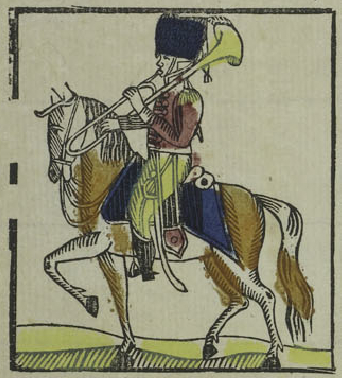 Trombones on Horseback. 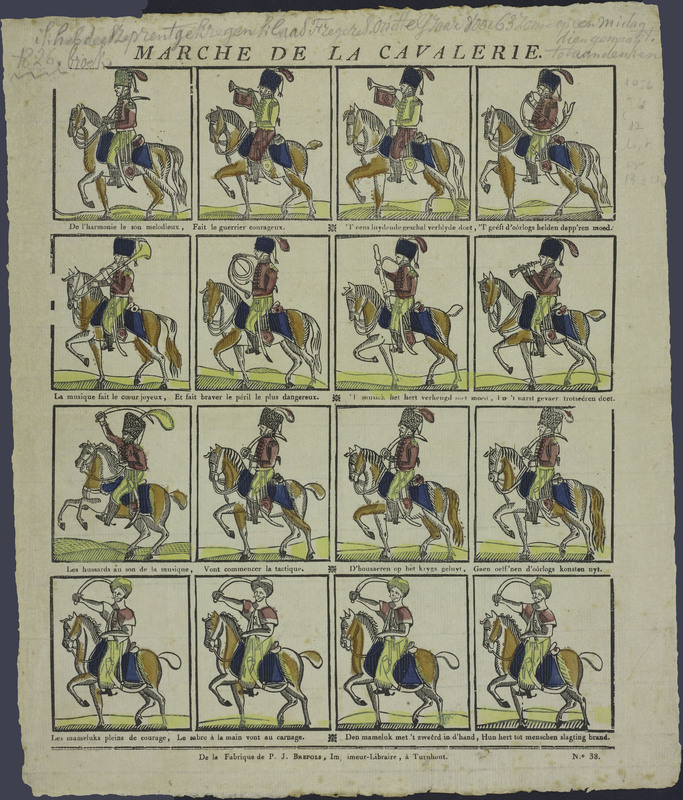 1826—Broek, Netherlands: March of the Cavalry, a “catchpenny” military print that features numerous musicians, includes a rear-facing trombone on horseback (see detail and full image below; public domain).